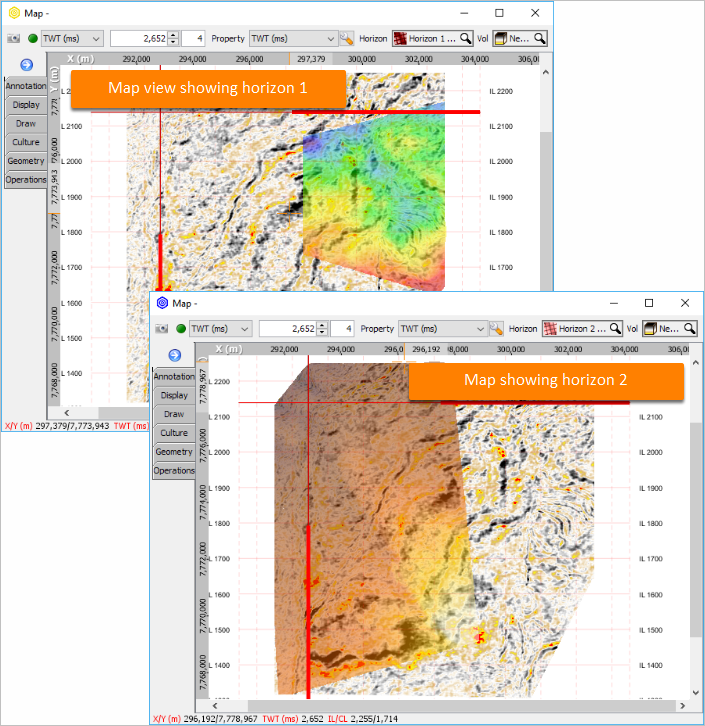 Open a second Map view to display each horizon (read about Volumes and horizons in Map View). For more on horizon maths see Common horizon tasks in horizon maths. 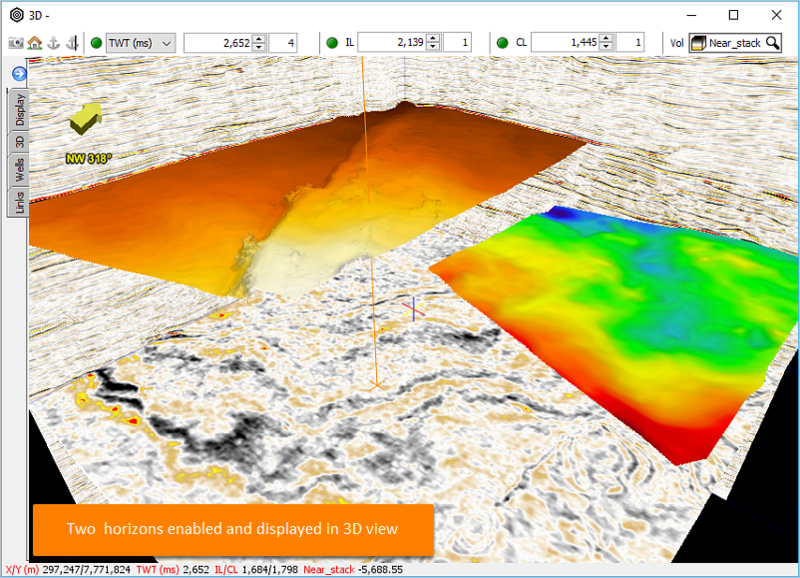 Enable the option in the Control Panel to display the horizon as a 3D surface, not the intersection (see Horizon Overview). 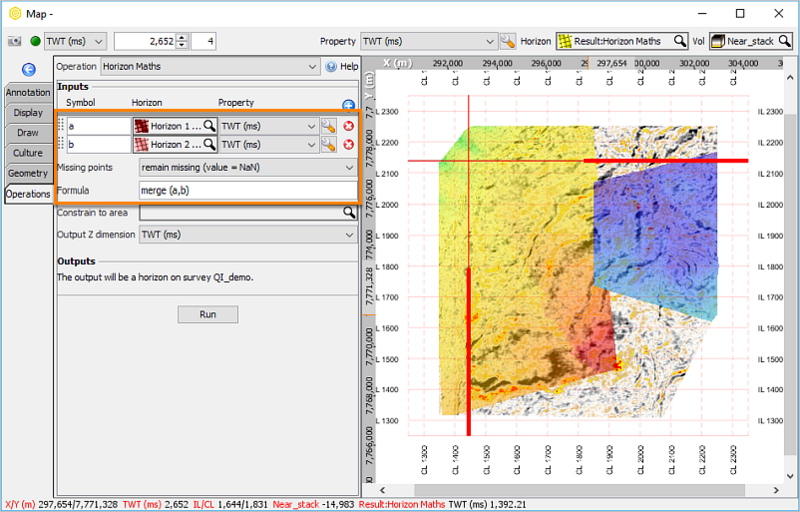 In the 3D view, different attributes can be displayed for horizon. To display multiple attributes for the same horizon, create a duplicate and display a different attribute for each. Duplicate your horizon (see Copying a Horizon). In the Control Panel, display the original and hide the copy. Right-click on the original horizon in the 3D view and choose "Settings for Horizon". Select the property to display. Click the class and set the opacity. In the Control Panel, hide the original and show the copy. Right-click on the duplicate horizon in the 3D view and choose "Settings for Horizon". In the Control Panel, show the original horizon again. Both horizon attributes are now displayed together. 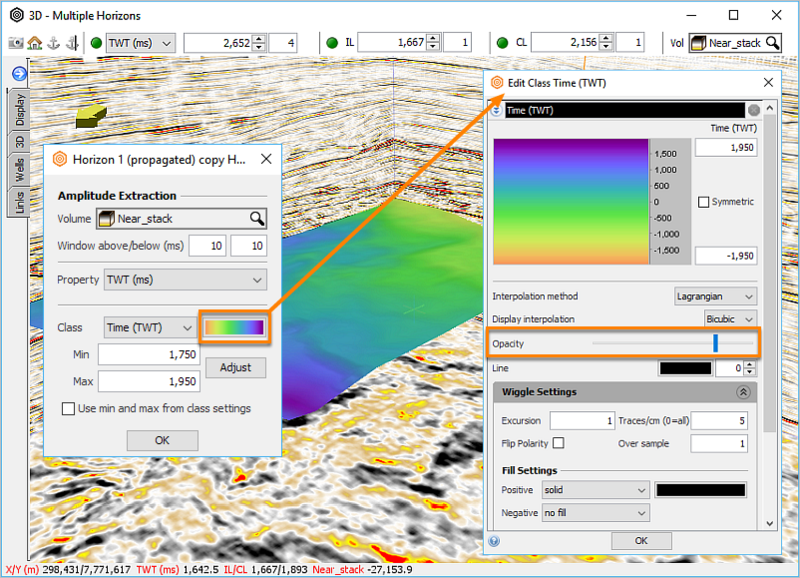 For more on viewing horizon attributes in 3D view, see Horizon options in 3D view. Prev: How do I decimate an interpolated surface back to its original picked lines? Next: How do I extract the number of events between 2 time horizons?